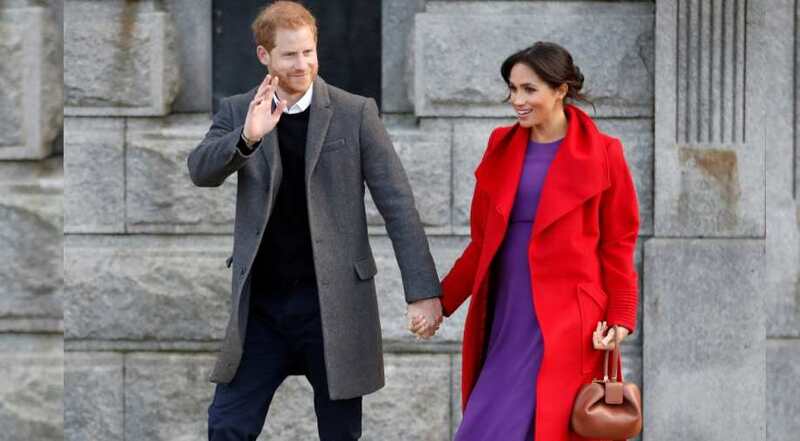 Meghan Markle, wife of Britain's Prince Harry, told royal well-wishers on Monday she was six months pregnant but the royal couple does not know the gender of their first baby, British media reported. Former US actress Meghan and Harry married last May and announced in October that they were expecting their first child in the spring of 2019 but gave no specific details. meghan markle and prince harry However, Meghan and Harry, Queen Elizabeth's grandson, do not know whether the future seventh-in-line to the throne will be a boy or a girl and it would be a "surprise", media reported. During their trip to Birkenhead, the couple's first joint engagement of the year, they viewed a new statue erected to mark the centenary of the death of World War One poet Wilfred Owen before visiting a number of local community organisations. Local resident Helen O'Toole, a mother of seven, said Meghan had asked her for some advice. "I said ‘breathe and take anything that they offer you’ and she just clutched her little baby bump and laughed. It was really lovely," she told Reuters.